Michael Lorentz, renowned safari guide and environmentalist, has been honored as one of the world’s Top Travel Specialists 2017 for the second year in a row by Condé Nast Traveler. Lorentz, recognized as one of the world’s best safari experts and professionals, is an avid naturalist and enlightened conservationist who is frequently recognized for his work in his native Africa. If we inspire our guests to connect directly with the wonders of Africa, respect its incredible natural beauty, and inspire them to protect the continent’s elephants and other wildlife, we will have served a greater purpose. Lorentz provides guests with insight into the intricacies of Africa’s wilderness as depicted on Safarious.com, the wilderness travel website that he co-founded as a platform for people who are both curious about journeying to the wild and serious about honest journalism on the latest wildlife and conservation issues. The rigorous award selection process involved in-depth interviews with clients who share experiences and opinions on how specialists craft extraordinary journeys. 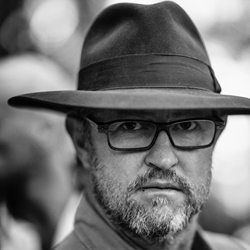 “After a few decades of going on African safaris, I can testify that Michael belongs to a rare breed, in the sense that the trips he designs and guides are never conventional, and always bring a different dimension to the guest experience, combining exclusivity and authenticity,” one Lorentz guest told the magazine. A native of South Africa, Lorentz started his bush career in 1985 at the Timbavati Game Reserve in South Africa, where he trained under the legendary tracker Jack Matabula. Lorentz became Managing Director of the renowned Elephant Back Safaris and Abu Camp where he was instrumental in creating and managing the lodge, its resident elephant herd and half a million acres of pristine Okavango delta. In early 2000, Lorentz co-founded Passage to Africa, a leading safari design company. He is heavily involved in ecotourism consulting and has managed numerous developments across the continent. He remains instrumental in developing the private guiding industry, perpetually striving to establish strong industry standards; whilst forging access into remote and unspoilt areas, providing his guests with rare private wilderness experiences. In addition to his world-class expertise as a guide, Lorentz is an accomplished photographer and enlightened conservationist whose work has been published and featured in the Smithsonian National Museum of Natural History. 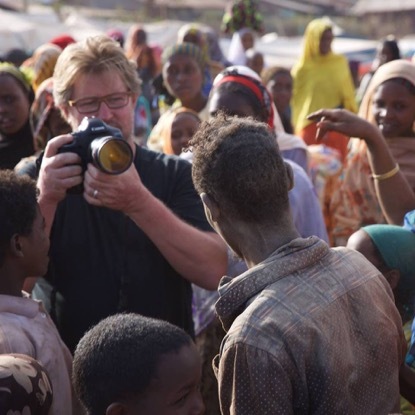 Having guided for 32 years, safaris remain his first professional love, and he personally conducts privately guided journeys across Africa from Chad and Ethiopia through the Congo, East Africa and into Southern Africa. Whilst Michael is a Pan-African specialist, he works closely with expert guides in other wilderness areas worldwide, and arranges trips beyond Africa's shores. Michael Lorentz, founder of Passage to Africa and Safarious, has more recently joined forces with Royal African Safaris as Partner. Royal African focus on custom designed, guide led safaris and expeditions with a strong emphasis on experiential travel that is both highly personalized and immersive. Many safaris include a blend of private canvas and some of the region’s most unique and interesting small lodges and private homes. 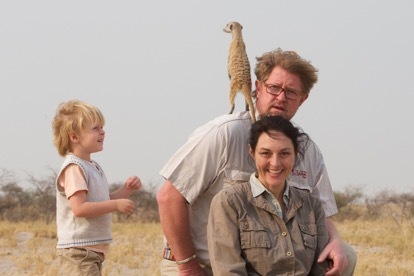 Safaris are designed on an exclusive basis for groups of families and friends. Michael Lorentz co-founded Passage to Africa, a safari design company that draws on an un-paralleled knowledge of Safari Africa. It also is a travel company with a difference; partner guides and independent travel experts include professional Pan-African safari guides whose knowledge and experience contribute to the design of every safari and enhance those that are privately guided. Safaris are created with authenticity as a priority and every journey is designed individually for solo travelers, honeymooners, a family adventure or a safari designed to suit the pages of National Geographic.